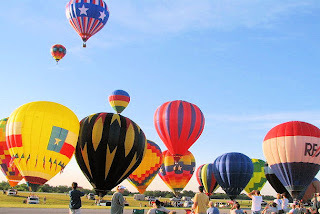 One of these events is the Annual DFW Summer Balloon Classic on June 19-21. Aircraft from the Cold War Air Museum will be joining the Commemorative Air Force Museum R4D this Saturday at the Midway Regional airport. For more information and an event schedule, check the Balloon Classic web site. MidWay Regional Airport is just south of Dallas and Ft Worth off Hwy 287 between Midlothian and Waxahachie.